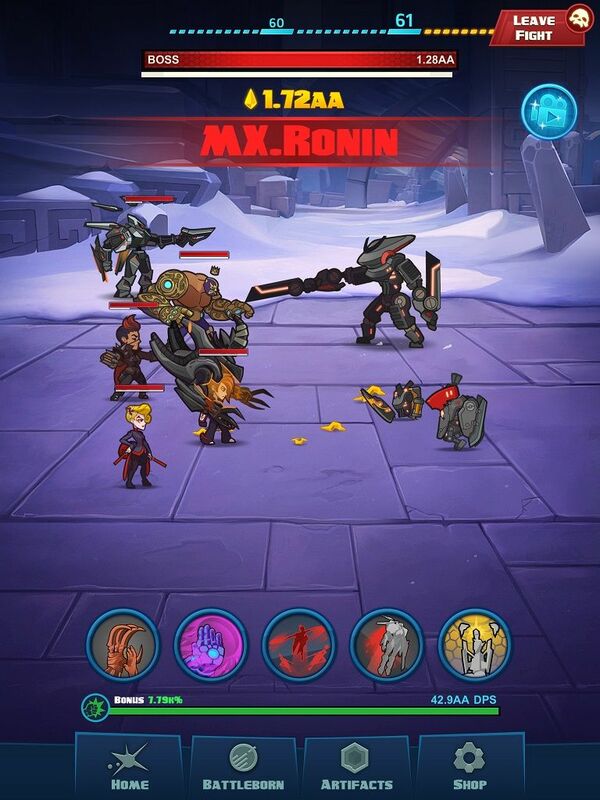 The fight for the last star has gone mobile and now 10 more heroes have joined the battle. These Battleborn heroes bring a new roster of Ultimate abilities to help you tap through waves of enemies and menacing bosses. Harness the badassery of Toby, Kelvin, Reyna, Attikus, Kleese, Shayne & Aurox, Deande, ISIC, El Dragon, and Caldarius in Battleborn Tap and get your fingers on new Legendary Artifacts! 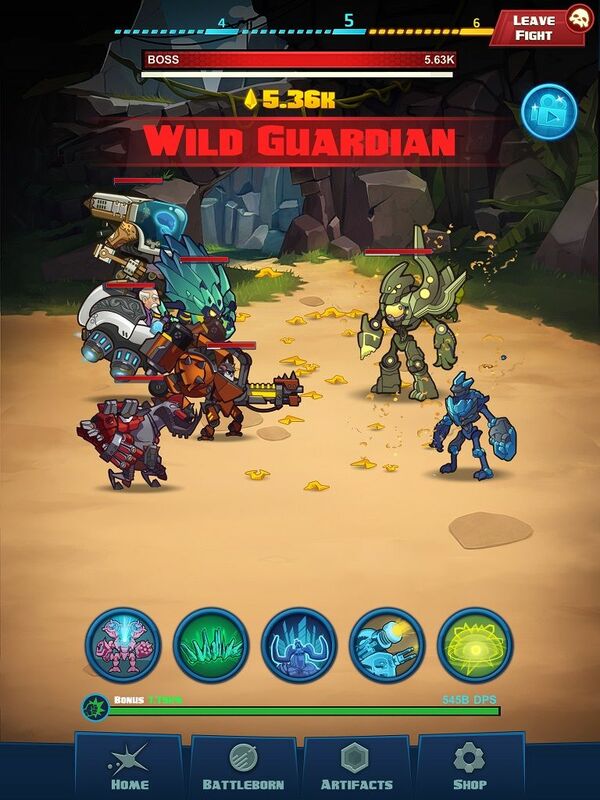 25 Battleborn heroes are at your command as you lead your squad of heroes on the field of battle, using your fingers to TAP your way to victory. In Battleborn Tap, you’ll unlock new areas and recruit more badass heroes to join the fight. Grow and customize those heroes by collecting and spending gold shards to upgrade your heroes’ skills and abilities to give your squad the best fighting chance against increasingly difficult waves of enemies. Find and equip gear just like in the console version of Battleborn to help boost your heroes’ stats and make them even more powerful.